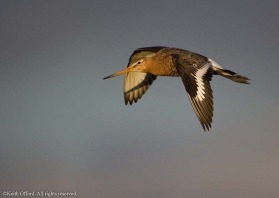 The long days in the Icelandic summer give great chances for photography - this Black-tailed Godwit was photographed at 10.30 p.m. This is the Icelandic race, the deep chestnut exteding well down the belly. 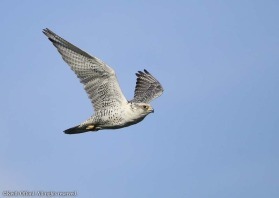 This female Icelandic Gyr Falcon was an unusually pale morph - almost resembling the Greenland race. 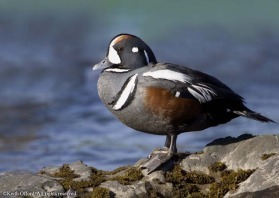 Fast flowing streams are the favourite summer habitat of Harlequin Ducks before the head back to the rocky coastlines fot the winter. 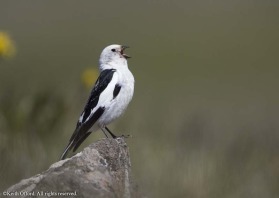 In Iceland, the cheery song of Snow Buntings can often be heard fropm old lava flows which they seem to like as a nesting area but they are equally at home singing from corners of roofs.